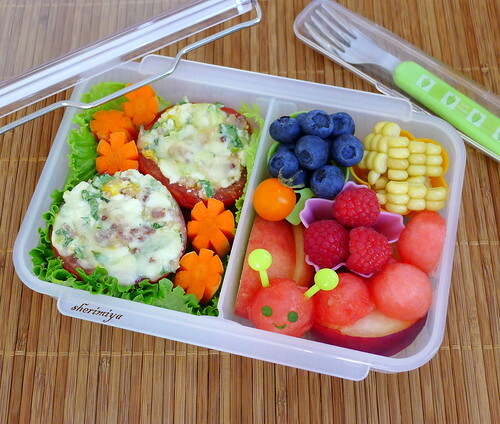 Cheesy Stuffed Tomato Bento, a photo by sherimiya ♥ on Flickr. I sent TinySprite to summer school with this stuffed tomato duo nestled in a lettuce nest aside some crunchy fresh carrots. The tomatoes were halved, hollowed, and filled with a mixture of cottage cheese, parmesan, rice, chopped spinach, minced garlic and seasoned with salt and pepper. You could add bacon or prosciutto to the mix if you like. I topped with cheddar and melted it just a little under the broiler, but these are good without any cooking at all. Plus they are very refreshing on a hot summer day. 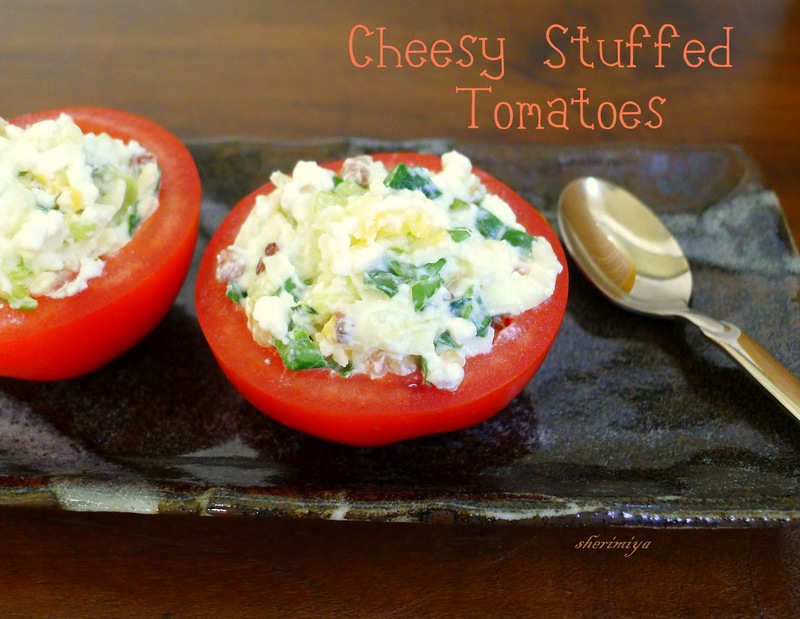 I made these for #twittercheeseparty, July edition, but they are great for bento too. The other side holds a little cup of blueberries, some fresh corn off the cob, white peaches, raspberries, and a watermelon ball caterpillar. Happy Summer! Thanks Michelle; go for it! The kids like them too because they're so much fun to eat. Looks delicious! And the little melon caterpillar is so cute! Such a wonderful summer bento! Colorful and cute. So adorable! 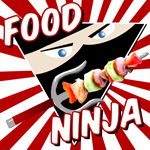 Would be a joy to eat! I've been intending to stuff some tomatoes--thanks for the reminder! Looks so good!